Drommedaris Golf is the golfer’s gateway to a once in a lifetime Cape Town golf holiday. We offer a unique and comprehensive service to golfers from around the globe. Our golf tour packages are the starting point of any individual, couple or group’s golf holiday to the Western Cape. We work closely with the top golf courses, golf resorts, hotels, nature/game reserves, wine estates, car rental companies etc. and negotiate unbeatable rates that we offer our clients in all our exciting packaged and tailor-made tours. We set extremely high standards for our golf travel consultants. Our team is constantly being expanded to meet the needs and demands of our growing international client base. We look for people who are able to provide our clients with a seamless vacation. They need to have an extremely high level of destination and product knowledge, provide a consistently superb level of service to our clients and, of course, have plenty of golf travel experience in order to be considered as a Drommedaris Golf Travel Specialist. Our company is named after the flagship of the Dutch East India Company fleet that arrived in Table Bay on 6 April 1652. Commander Jan van Riebeeck together with his crew of 82 men and 8 women had a mandate to set up of a refreshment station to supply Dutch ships on their way to the East. Van Riebeeck named the settlement Kaapstad (Cape Town). The Drommedaris paved the way for countless voyagers who have since visited the Cape. She symbolises a remarkable journey to a strikingly beautiful part of the world. Although the Drommedaris has long since vanished from the high seas, her legacy still lives on. We pride ourselves on the fact that we are different to the rest. As innovators in the industry we constantly look for ways to improve our service, get you the best prices and guarantee top luxury products. We treat each customer individually and tailor-make golf holidays to their particular interests and requirements. Our expert knowledge of all the destinations we cover means that any golf holiday we arrange is sure to feature only the best that each respective destination has to offer. We are always on the move, finding great new places, checking out existing ones or discontinuing those that don’t make the grade. 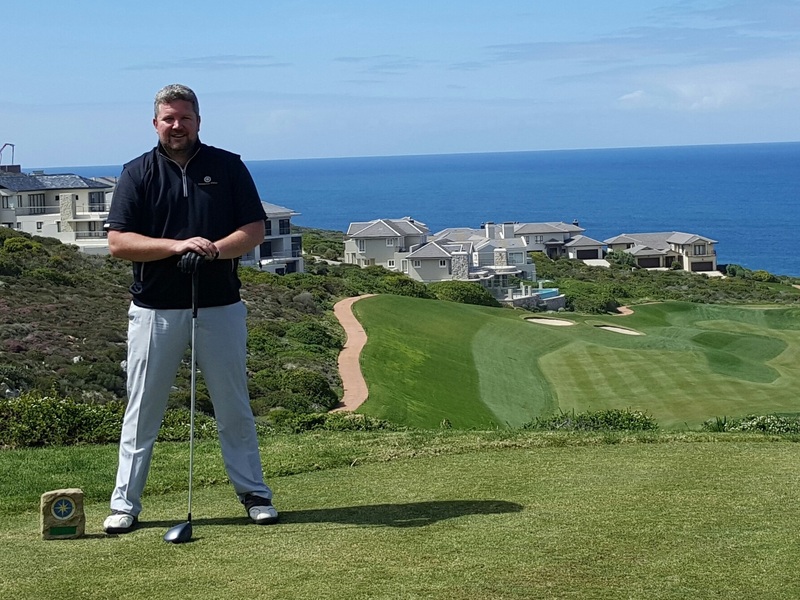 Combine all of this together with safe, easy and reliable payment methods, plus the infrastructure to physically provide you with all the documents and travel support you need, and it becomes clear that we offer our customers a complete, exhilarating package for the ultimate golf holiday to Cape Town and beyond. Not only is SATSA (Southern Africa Tourism Services Association) of benefit to businesses within the industry, in successfully aligning with an association of such a high caliber, it is also extremely useful to tourists wishing to experience tourism at its best. By doing business with a SATSA accredited member, people are able to achieve piece of mind and a guarantee that they are receiving the best possible services within the tourism industry. The SATSA Bond, which refers to the SATSA Lost Advances Fund, is administered by a committee and aims to deal with losses incurred by any member or customer as a result of that member being placed under involuntary liquidation. The SATSA Lost Advances Fund Committee is responsible for the adjudication of payments and claims and these are done at their sole discretion. Payments shall not exceed R150 000 for any one incident. The same amount, R150 000, is available per any one member’s involuntary insolvency. The maximum amount available for the annum is R930 000. The SATSA Bond is administered by Guardrisk Insurance Company Limited under policy number GR13/40920/671/01. We have all returned home safely and enjoyed the trip you arranged for us. Thanks for your help. The golf courses we played were superb and accommodations you recommended were great. Our group fell in love with the wildlife and scenery of your country. The Lost City Palace was the perfect location for our tour to end. Thanks again.